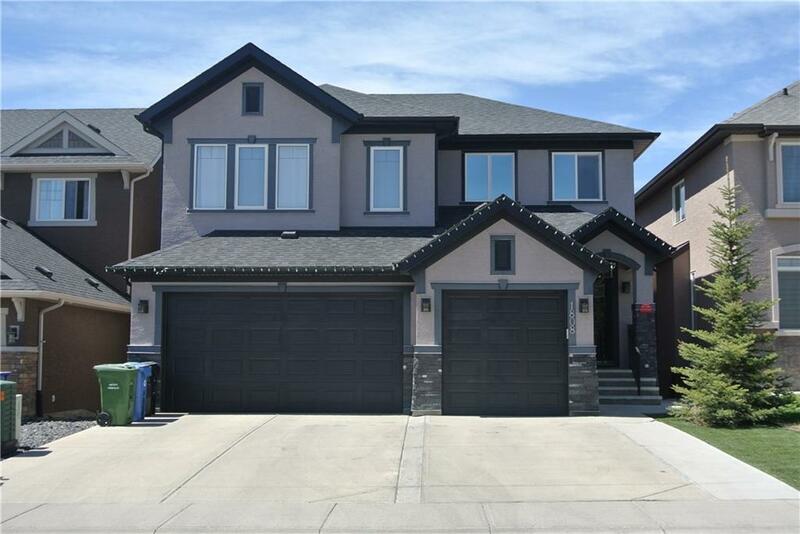 DESCRIPTION Absolutely gorgeous, fully developed, two storey walkout in the heart of Panorama Estates with over 4000 sq ft of developed living space. This beautiful home has been fully upgraded and features a bright and spacious entry, formal dining room, maple hardwood floor with an amazing chef's kitchen! Dark maple cabinets with granite counter tops, Jenn Air stainless appliances with wall oven, gas stove and wine fridge, 9 ft ceilings and a spacious deck off the kitchen to capture all the west sun! Upstairs has a huge bonus room, three kids bedrooms and a well appointed master suite with walk-in closet and 5-piece ensuite. Walkout basement has been fully developed with an additional family room, rec room, bedroom and full bath (currently being used as a hair salon but will be converted back prior to possession). This home also has central A/C, no maintenance landscaping package with artificial turf and an attached triple, heated garage! Truly everything you could want in your new home!